The August trawl data is in and now is the time for celebration. The walleye and perch have both produced great hatches during the 2015 season; the walleye hatch may even be one for the record books. 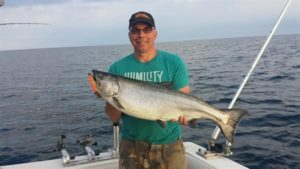 Despite the fact that Lake Erie seems to always garner headlines for negative reasons, it continues to march on as the world’s most productive freshwater fishery. “Lake Erie still amazes me to this day” states Jeff Tyson, the Lake Erie Program Administrator for the Ohio Division of Wildlife, a 20 year veteran in dealing with the smallest Great Lake. 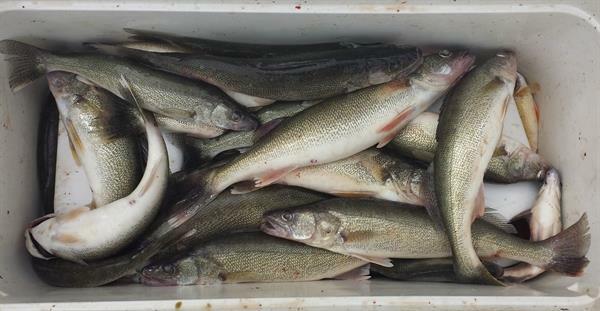 Although this year’s hatch may not quite stack up to the monstrous walleye hatch of 2003, it’s likely the 2nd largest hatch since record keeping began in the 1980s. Combine this with another very good hatch from the 2014 season and the walleye fishing prospects look to be on the upswing for the next several years. Going into the 2015 fishing season the walleye population was estimated at 24 million legal sized walleye lake wide. Barring a catastrophe that number should easily double and quite possible triple going into the 2017 and 2018 fishing seasons. Along with the mega hatch walleye hatch this spring, the lake’s yellow perch population had a very successful spawning run as well. “This year’s perch hatch was very similar (in numbers) to the hatches of 2001, 2013, and 2014” according to Tyson. With 3 straight years of good perch recruitment the future looks very promising for them as well. “That’s very encouraging to see, because we really needed that” he expanded. If that news was quite good enough the trawl data also showed below average hatches for both white perch and round gobies, two invasive species who both rob food and also prey on young of the year walleye and perch. So after your celebratory cigar it may be time to start preparing for the upcoming fishing seasons on Lake Erie, they should be fun.